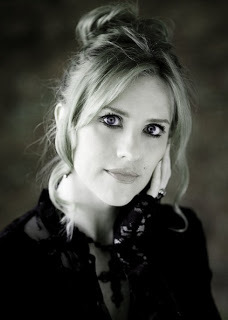 Two Chicks On Books: Blog Tour- UNTAMED by A.G. Howard A Look Back at The Series and 2Giveaways! Blog Tour- UNTAMED by A.G. Howard A Look Back at The Series and 2Giveaways! I am so excited to be kicking off the Official UNTAMED blog tour! I am freaking OBSESSED with this series, I mean seriously there are no words for how much I love it (and Jeb *swoons*). I have a special look back at the settings of the books and make sure to enter both giveaways! Haven't heard of UNTAMED? Check it out! Thanks for joining us for the Untamed virtual book tour! Since Untamed is a companion novel that not only looks into the future of the Splintered Series, but also into the past, we thought it would be fun to dedicate the posts to looking back at the first three books, then looking forward at some Official Untamed reveals. To make it even more fun, the two “looking back” posts (Nov. 16-17) will be setup scavenger-hunt style, with links for you to follow and questions for you to answer in order to be entered for the prizes in the INTL rafflecopters provided. Today, we’ll start off with a look back at three settings that were touched on from the very first book, Splintered, but that also will be making appearances in the upcoming companion novel. These posts were originally taken from the Splintered virtual book tour, back in December 2012. Click on the links then scroll down and read the posts to find answers for the questions provided. Then come back and use these answers to unlock the INTL rafflecopter. In Mr. Dodo's house, what's hanging from his ceiling? In Wonderland's historic library, what does the librarian look like? In the Red Castle, what 4 shapes are the brass fixtures on the door? Be sure to join us again tomorrow at Fiktshun’s for a look back at our favorite main characters and more INTL prizes to win! 10 winners will receive a hardcover of UNTAMED, US Only. 5 winners will receive an UNTAMED poster, US Only. 4 additional giveaways will be taking place through the tour so make sure to check each blog for their giveaway items and details! My special giveaway! 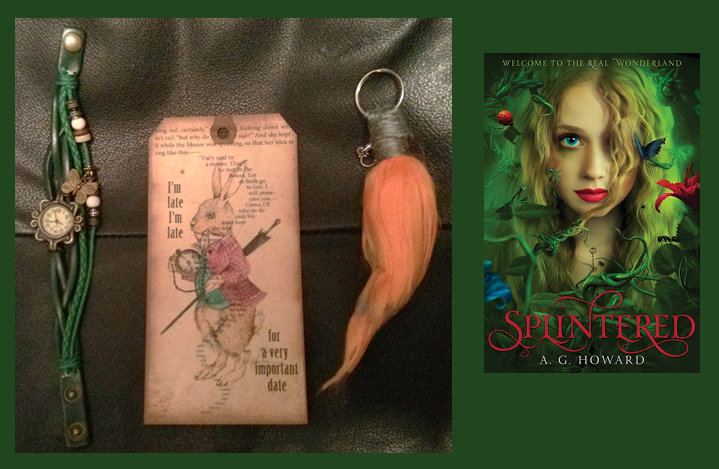 (1) Winner will receive-Green Splintered Themed watch, 1-AiW jumbo gift tag, 1-Chessie tail key chain, + Signed Splintered PB. International. 11/18/2015- All The Write Notes- Untamed playlist reveal + US Only Giveaway. Go back to where the magic all started! I am so excited for this book. I really enjoyed the series and I can't wait to read more! I can't wait! Love A.G.! I have been fascinated by the cover since the first time I saw it. Fantastic giveaway. 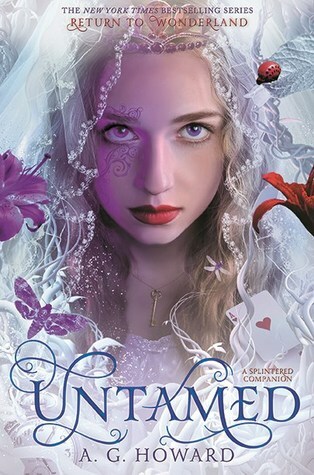 I'm so excited to read Untamed!! These covers just keep getting more gorgeous! <3 Thanks for the giveaway! So much fun! Thank you for the great time and the giveaway. I'm so excited for Untamed, I can't wait until it finally comes out. I've never heard of this series before, but since I've always been a huge fan of Alice in Wonderland, I must check this out! Thanks for the giveaway! Stunning cover! Thanks for the giveaway! OMG, both of these giveaways are fabulous! I've inhaled this series so far. I love her fractured Alice in Wonderland stories. OMG I'm some excited for Untamed! I love that the tour has finally kicked off! Thanks for these frabjous giveaways! This blog has become one of my favorites & A.G. Howard is one of my top 5 favorite authors <3 love y'all! I am so excited for this book! I loved this series so much and can't wait to read more in to it! The cover is so gorgeous! So excited for this book :) Thanks for the giveaway! I absolutely LOVE this series and cannot wait to read more about the world and the characters! This looks like such an awesome series! Thanks for the giveaway! Three novellas are in Untamed and they are magical. In Splintered, Allyssa has to pass tests to move beyond the underground. 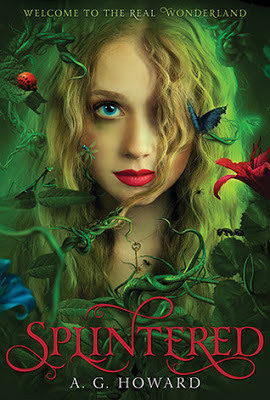 Great covers for both Untamed and Splintered. I'm so happy and excited for this book! My daughters and I love this series! Thank you for a fantastic giveaway! I love this series!!! I talked to you after I finished Ensnared and told you I wanted more and was so glad you were doing this book! I can't wait to read it!!! I am so excited! I love this little scavenger hunt! A little bit abundant for you, there's likewise android tv box could be buggy, the WeTek Hub additionally.